This tutorial covers the basic principles you'll require to write your own RixProjection plug-ins, also known as Lens Shaders. These plug-ins give a developer full control over how a camera “sees" the scene. Not only does this allow the implementation of custom camera projections, it also opens up a lot of new exciting possibilities which you don't get out of the box. Customization of the camera is something which hasn't always been possible in RenderMan. There were tricks which used the raytracing engine for these kind of effects but they never compared to the performance and flexibility now available in RIS with its RixProjection interface. This lesson is tailored for people who are new to the RIS API and it requires a minimal amount of C/C++ knowledge. I hope to help bridging that gap between being artistic and being technical, showing that these skills can go hand-in-hand. RenderMan is an extremely powerful and flexible renderer and if you know how to leverage that, you'll really be able to achieve that look you're after! Projection plug-ins are essentially modifiers applied to a bunch of camera rays before they're being traced through the scene. It's possible to adjust just individual aspects of these rays while keeping everything else untouched from the built-in projection (beingperspective or orthographic). This is, for example, how the PxrRollingShutter plug-in affects motion blur while leaving everything else, be it field-of-view (FOV) or depth-of-field (DOF), untouched. 7 // Don't forget to make your destructor virtual or it might not get called! 16 // Returning '0' means that there was no error. Anything else indicates an error. 24 // RixSCParamInfo() signals the end of the parameter list to PRMan and has to be included even if we don't want any parameters. This is pretty much the smallest projection plug-in possible. It doesn't do any changes on camera rays yet, but it defines all the methods required for RenderMan to load and execute it as a custom projection. It's good to keep a copy of this somewhere so you can simply copy-paste it whenever you start writing a new projection plug-in. There is one interesting thing happening though. If you look a bit closer at the Init method you'll see that we're getting a RixMessages interface from the RixContext. With this, we can print a message to the log, showing that our plug-in is indeed being called by RenderMan. The RixInterfaces are an integral part of RenderMan's API and there are many useful things we can do with it, besides just printing to the log. Have a look at the RixInterfaces Documentation when you're ready to learn more about it. On Windows, you can use Visual Studio to create a library by setting the application type to DLL. Once we've created the library, we'll need a render we can test it with. For this, I suggest to use a simple RIB. This allows us to iterate quickly and the complexity of the scene won't disturb from our development. If you don't like working with RIB files and prefer using Maya, have a look at our lesson on REF[How to load custom plug-ins in RenderMan for Maya]. To be able to run PRMan as a standalone, you need to have RenderMan ProServer installed (also available with a non-commercial license), just use your RenderMan Installer to install it. Brian Savery has written an introduction on how to set up and use PRMan as a standalone: Using RenderMan without Maya. 4 Display "preview" "it" "rgba"
9 # This loads our custom projection plug-in! 10 Projection "./SimpleProjection" # <-- This loads our custom projection plug-in! Congratulations, you've just written and executed your very first projection plug-in! It might not be doing anything fancy yet but we're getting to that, so stay with me! Now that we've covered the basics, we're ready to start with the main project of this lesson: The Multiflash Lens! This plug-in is based on Multiflash Photography from traditional photography. Multiflash photography is a technique where a camera sensor is being exposed to the scene multiple times, making it related to multiple exposure photography. However, this technique relies on a flash to repeatedly illuminate the scene. Harold E. Edgerton (1903-1990) has pioneered this discipline by establishing the stroboscope as a tool in photography instead of just being used in laboratories. With this equipment he was able to take pictures with very fast shutter speeds. More interestingly, this allowed him to take multiple of these short exposures in one single image. This reveals motion in an unprecedented and precise way. Self portrait of Harold E. Edgerton and a bursting balloon; right: Multi ash photography of Burt West flipping backwards, c 2010 MIT. Courtesy of MIT Museum. If we'd want to replicate this effect on a computer, one approach would be to render multiple images at different times and composite them on top of each other. While this is a very easy setup, it has some issues. Having to render several images increases the time required to create one complete frame. If we want to adjust the intervals between exposures the setup quickly becomes more complex and impractical for larger projects. If there was a way to render multiple exposures in one image straight out of RenderMan, these limitations would be removed. Adaptive sampling would make sure we render efficiently, focusing samples where they really matter. Even better, we'd be able to light the scene using re-rendering while looking at the final picture instead of just one frame. The additional control we gain from writing a custom RixProjection plug-in would allow us to push the effect further than what common multiflash photography can do. A direct translation of multiflash photography would be to animate the lights in your scene to flash for very short amounts of time. 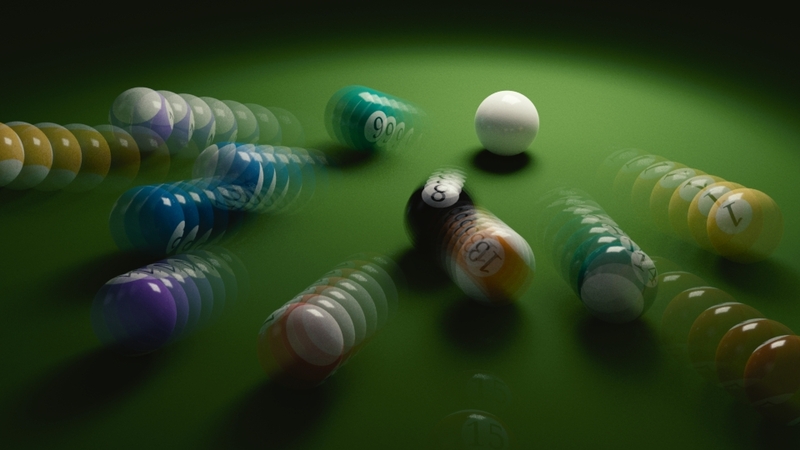 When rendering with motion blur, this would then create the stroboscopic effect we're after. However, due to the way a path tracer samples time, this would result in very noisy results. 8 Display "preview" "it" "rgba"
13 # This loads our custom projection plug-in! Excellent! You've successfully implemented a custom plug-in which simulates the multiflash effect! Rendering directly from a RIB file is very useful when developing. However, there is a point where we need to be able to test the plug-in in a production environment and more complex scenes. This is a good time to start applying our custom projection inside RenderMan for Maya. When you're on Windows, don't forget to escape the backslashes (ie. every '\' becomes '\\'). The dummy parameter is necessary because the RiProjection MEL function expects at least one parameter, our plug-in is simply going to ignore it for now. This approach is a very easy and unobtrusive (it doesn't affect the rest of your scene setup or configuration), making it my preferred choice when trying plug-ins in RenderMan for Maya during development or when I know it's only going to be used in a handful of scenes. There are other ways which would tightly integrate our custom plug-in and make it practically indistinguishable from the plug-ins RenderMan ships with but we'll save this for later. With this, you can now take any of your animated scenes and apply the multiflash lens on it. Keep in mind that you might need quite high Shutter Angle values to get long enough trails. Also, make sure you increase the motion samples on objects with complex movements. This will increase your memory usage so keep an eye on that. Without the multiflash lens, this would just be a render with some blurry streaks. With our custom plug-in however, we see both movement and details, creating a unique and interesting look. Now that we have implemented the basic multiflash functionality we wanted, it's time to get creative. RenderMan gives us a lot of control over a wide range of aspects in the rendering process. But even with just tint and shutter, we can create a variety of effects. It's unclear whether the ball bounces from left to right or the other way around. Making the flashes at the beginning of the shutter darker than the ones towards the end will accentuate the direction of motion and make a more interesting picture. That's nice! See how we now get a feeling of motion from left to right? But what if we want to accentuate the motion even further? We can use any formula we want, so it's really up to you. In my case, I just squared the shutter value and converted it to a color. This makes the flashes start dim and then brighten up rapidly towards the end of exposure. If we again want to maintain the overall brightness we have to make the function averages to white. I'll do the maths here in case you're interested. Our function essentially is x2 and our goal is to make it average to 1 over the shutter interval [0, 1). So, we're looking for a value c for which ∫01cx2dx = 1. Solving the integral this gives: 1/3c=1 and thus c = 3. Great! This shows a clear direction of movement simply by adjusting the brightness of our flashes, all this by just adding a single line of code to our plug-in! With just a small amount of programming, we've been able to use RenderMan's RixProjection interface to create a unique look which would have been difficult to achieve out of the box. With small additions and adjustments in the code we're able to create a wide range of looks and take control over the result of our render. All this with just a handful of lines of code, imagine what else you could do! I thank Dylan Sisson and Chris Ford for making it possible for me to write these lessons and for their support. Further, I thank Chu Tang, Leif Pedersen and Greg Shirah for proof-reading and their great suggestions.